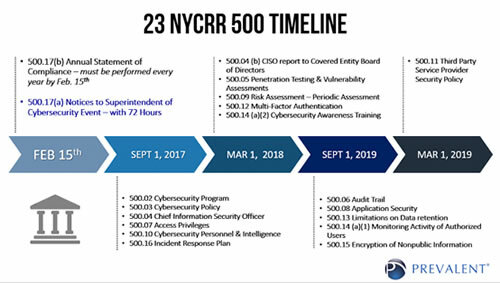 Poll results announced recently from Prevalent, Inc., the leader in cybersecurity third-party risk management, show that New NY State Cybersecurity Regulations Are Driving Financial Services Organizations to Action - but more than a third aren't fully clear on what they need to do. The regulations are widely considered to be a potential US national model for cybersecurity requirements. Over 80% of security professionals identify ‘people’ as the industry’s biggest challenge compared to technology and processes, according to the results of the second annual survey from The Institute of Information Security Professionals (IISP). The survey also indicates that while 60% of respondents still feel that investment is not keeping pace with threat levels, there was a modest 5% increase in businesses that feel better placed to deal with a breach or incident if it happens. In real terms, spending does appear to be on the rise with 70% of companies seeing an increase in budget, up from 67% and only 7% reporting a reduction, which is down from 12% last year. Maidenhead, UK: Flexera has announced it’s reimagining software supply chain safety. Flexera’s the first-in-industry to embed open source security into the heart of the software development build process with automatic analysis detection. It will help keep the software supply chain secure by enabling 100,000 developers around the world to sell clean products, free of open source vulnerabilities and license compliance risk. LONDON: In the wake of the WannaCry ransomware attack BeCyberSure is offering SMEs a new simple and inexpensive Cyber Health-Check to help them ensure their systems are up-to-date and protected against inevitable future cyberattacks.